I love unwrapping a perfectly rectangular present from under the tree. Square corners means an easy wrap job and most likely a book! But really it means so much more. It means, most of all, a window into a world of knowledge and inspiration. The best books offer both. I am always inspired by a great stitch, a stunning colour, or a wonderful tale of a knitters journey. You will have to consider which type of book your knitter needs this year. 1. 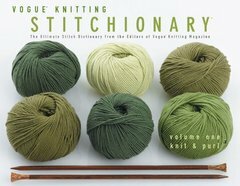 A great stitch: A stitchionary is a wonderful present for a more experienced knitter. Perhaps a budding designer or an adventurous pattern-changer (you know who you are). We have several stitchionary’s but my fave is the Vogue Knitting series. There is a stitchionary for every style, texture, cables, lace, and colourwork (now conveniently in soft cover too!). 2. Patterns: the most popular style of knitting book is of course, the pattern book. There is inspiration oozing from the pages of these little wonders. 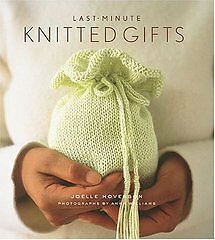 Two of my faves are the Knitted Gift books from Joelle Hoverson. They are beautifully photographed and full of colour and texture that makes you want to cast on immediately! 3. 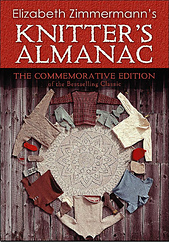 A knitters journey: no knitter’s library is complete without a little Zimmerman. Her books have patterns, thoughtful reflections on both knitting and life, as well as a LOT of great information about knitting that doesn’t really fall under any normal categories. Her books read like thoughts and ideas with a little knitting thrown in. They make me want to curl up by the fire, under a warm knitted blanket. This entry was posted on Sunday, December 9th, 2012 at 12:33 am	and is filed under Uncategorized. You can follow any responses to this entry through the RSS 2.0 feed. Both comments and pings are currently closed.